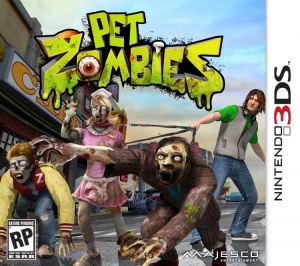 Sorry, no review of Pet Zombies yet. 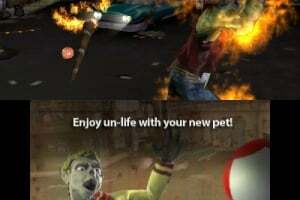 Pet Zombies in 3D lets players raise their very own decaying human pets by managing their special dietary preferences (brains and the like), bodily maintenance (or lack thereof) and morbid activities needed to keep them happily undead. 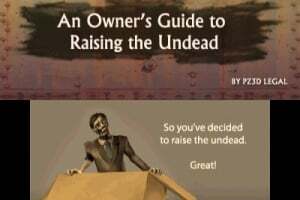 Players can choose to play with, care for, or even mischievously torment their zombies in creepy locations like cemeteries, evacuated malls or rundown military bases. 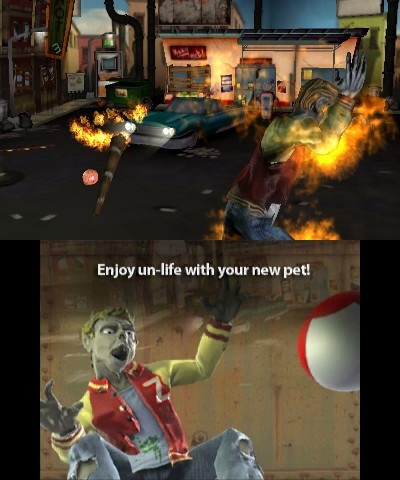 Each 3D environment is customisable with mix-and-match objects, themed backdrops and even music to best fit each pet zombie's personality and tastes. 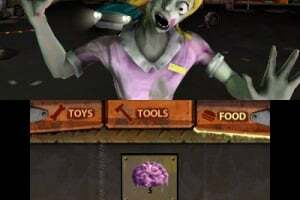 Throughout the game, players can discover new zombies to add to their horde and customise them with facial bone deformations, variable decay, clothing and unlockable items. 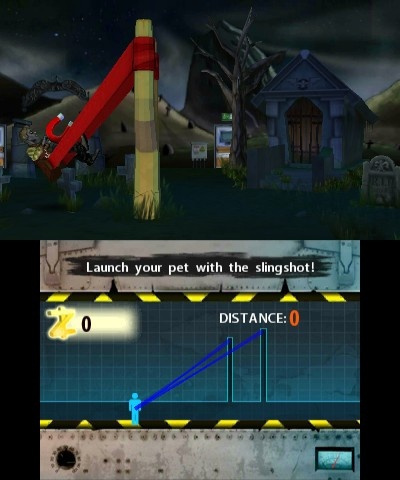 Players will also use the Nintendo 3DS accelerometer controls in various activities, including rolling zombie heads through mazes, and can earn trophies and in-game currency to spend in the Zombie Pet Shop. I've been eyeing this since GameInformer.I want. 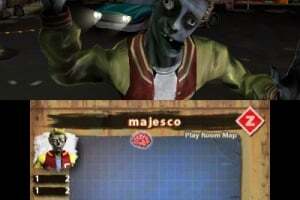 yeah as ZOMB13 said you can torment them until they rip you to shreds. 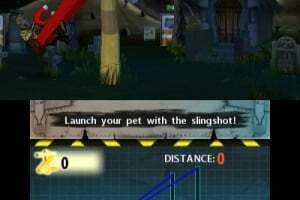 LOL that would be fun can you take them for walks and feed them. 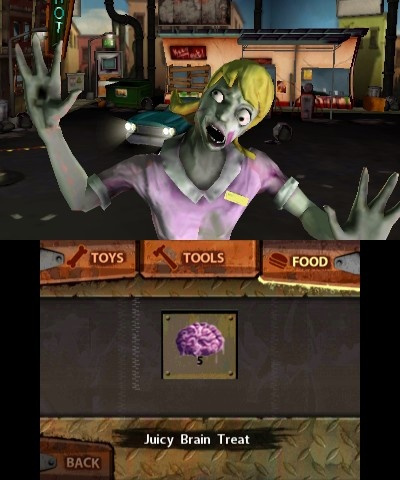 imagine if you can be one and attack citys until theres nothing left but zombies walking around starving because they need meat and you could see zombies actually ripping people apart and eating them. 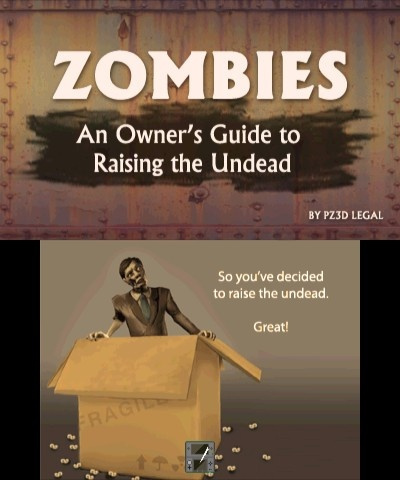 imagine if it had lots of blood and gore. it certinally would be a 18 rating!. phew the end of the comment. 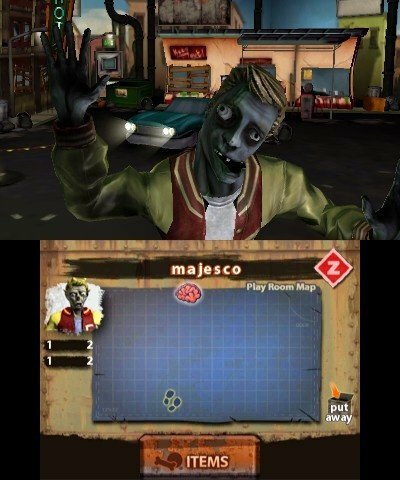 They should have add more mini-games though and included an AR card with it. 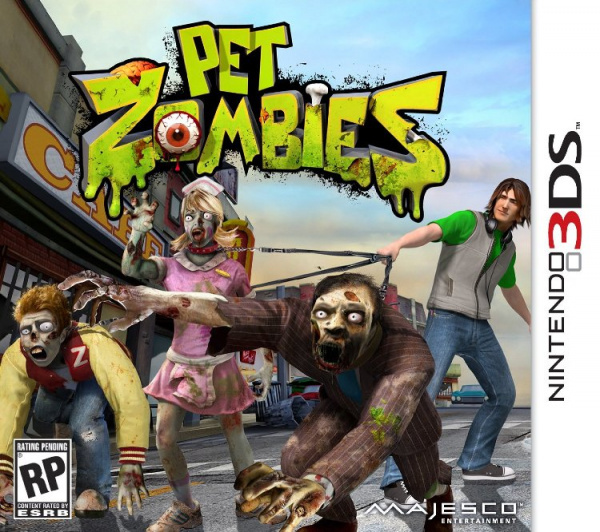 I have this game and I rate it 6 out of 10.
zombies as a pet!? EPIC!